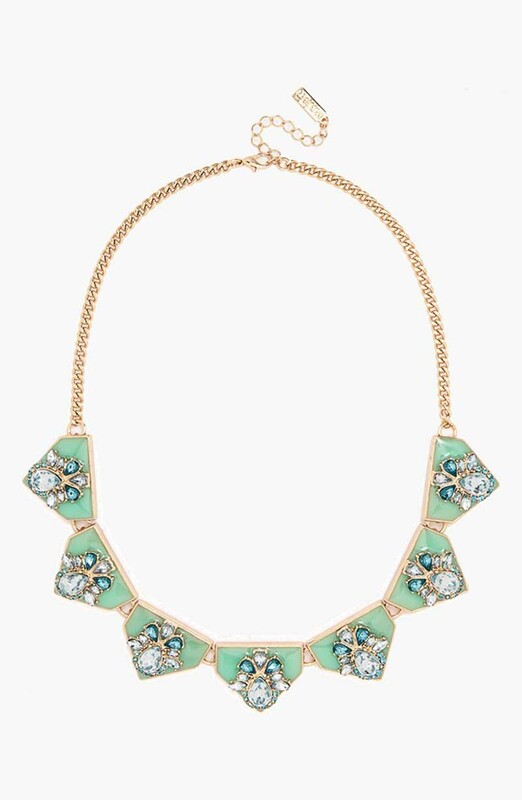 BaubleBar, the one-stop retailer for affordable, on-trend fashion jewelry, partnered with Nordstrom to bring a capsule collection of BaubleBar jewelry to 35 Nordstrom stores and Nordstrom.com. Launching on March 31st, the ‘Nordstrom Loves BaubleBar’ pop-up bar will showcase new and exclusive items from the jewelry brand including necklaces, bracelets, and earrings ranging in price from $24 to $68. Having tested various brick-and-mortar concepts since BaubleBar’s launch in 2011, co-founders Amy Jain and Daniella Yacobovsky are excited to continue the brand’s offline expansion with Nordstrom. No stranger to creative commercial collaborations, Nordstrom has been the retail partner of choice for brands including Topshop, which has exclusive U.S. distribution through the retailer; Miss Wu, Jason Wu’s diffusion line; and most recently, the SJP Collection, Sarah Jessica Parker’s line of shoes. In-store displays will encourage customers to mix and match baubles to create a signature look, showcasing pre- curated style vignettes for inspiration. Additionally, BaubleBar will create engaging fashion and how-to editorial content for Nordstrom.com with crafty style tips teaching how to become an expert BaubleBar mixologist. Nordstrom and BaubleBar’s shared customer-first philosophies make for a natural partnership as both brands aim to deliver the best possible customer experience and are constantly evolving how to best serve customers. BaubleBar is thrilled to partner with Nordstrom, whose commitment to providing on-trend, high-quality merchandise and truly outstanding customer service aligns perfectly with BaubleBar’s goals and brand values.